I wanted to make the Fluffy Japanese Pancakes I’ve been seeing all over the internet but I couldn’t find small round ring molds haha Soooo I bring you HOLIDAY Shaped Fluffy Japanese Pancakes! These are the same fluffy pancakes you’re seeing all over the internet but mine are shaped in holiday shapes! 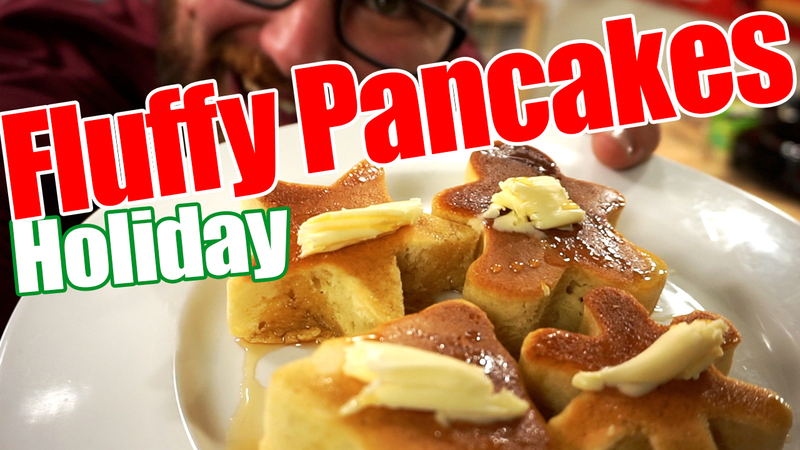 These DIY Japanese style pancakes are really simple and really fluffy. I hope you enjoy, Lets get started! Vegetable oil to coat pan and rings!